Zoe Efstathiou is a freelance copywriter and journalist based in London. 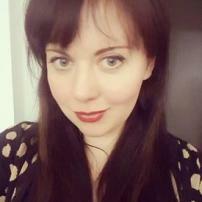 She has been a reporter for the national and local press and has done freelance copywriting for a broad range of organisations, from arts centres to fashion brands. In her spare time, Zoe enjoys creative writing (yep, even more writing), painting, and taking photos of her dog Bella for Instagram.